Abstract: Objective To explore the significance of serum anti-carbamylated protein (anti-CarP) antibody measurement for diagnosing rheumatoid arthritis (RA). Methods In this study, 135 patients with newly diagnosed RA (RA group) and 85 healthy subjects (healthy group) were enrolled. ELISA was performed to measure anti-CarP and anti-cyclic citrullinated peptide (anti-CCP) antibodies. The numbers of swollen and tender joints, erythrocyte sedimentation rate (ESR), and C-reactive protein (CRP) level were recorded. Results Anti-CCP antibody was positive in 106 cases (78.5%) and anti-CarP antibody was positive in 67 cases (49.6%) in the RA group. The sensitivity of combined measurement of anti-CCP and anti-CarP antibodies can improve the specificity of diagnosis, up to 97.6%. 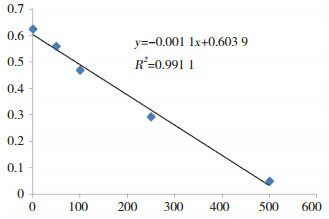 Among cases of anti-CarP antibody positivity, the number of swollen and tender joints and DAS-28 score were positively correlated with anti-CarP antibody level (r=0.61, P=0.001;r=0.67, P=0.001;r=0.62, P=0.001, respectively) and weakly correlated with CRP level and ESR (r=0.28, P=0.015;r=0.35, P=0.018, respectively), but not correlated with disease duration (r=0.09, P=0.43). A total of 98 cases (72.6%) had radiological changes. At different levels of joint damage severity observed on radiographs, the differences between serum anti-CarP and anti-CCP antibody levels were statistically significant (P < 0.05). Conclusion Combined detection of anti-CarP and anti-CCP antibodies increases diagnostic specificity for RA. Anti-CarP antibody level is also correlated with severity of joint damage, implicating its involvement in the development and progression of RA. It may become an important marker for RA diagnosis, severity evaluation, and prognosis prediction. 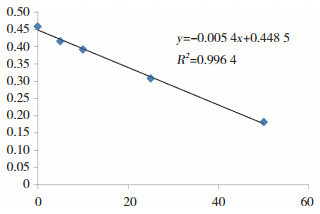 1）compared with stage I，P < 0.05；2）compared with stageⅡ，P < 0.05. WILLEMZE A, TOES RE, HUIZINGA TW, et al. New biomarkers in rheumatoid arthritis[J]. Neth J Med, 2012, 70(9): 392-399.